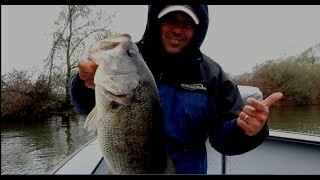 PC shows you a good technique to target both deep and suspended smallmouth bass. ! A great program for any lake. 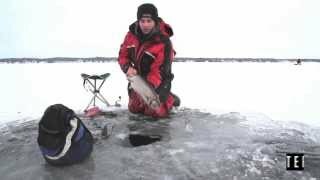 Cole Vardy of Launching Lures shows you some good techniques to target walleye this season ! In this CG Exclusive Ryan Hare takes us on a fun adventure on the ice. Early ice on the lakes offers up a perfect opportunity to chase after some really nice Lakers. 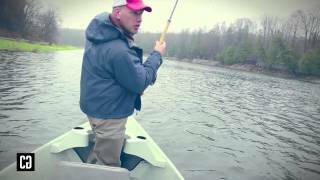 Non stop action in this video, these lake trout are all over the graph and attacking the swammers. Early ice on the lakes offers up a perfect opportunity to chase after some really nice Lakers. 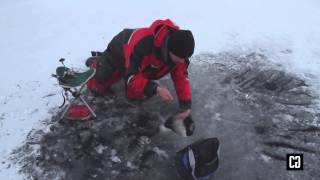 Some you get and others slip away, Be safe and have a fun ice fishing season. 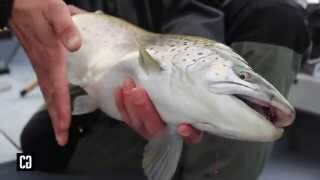 Lake Ontario holds one of the best fresh water fisheries when it comes to down rigging for King Salmon. Today we are out with Ryan Hare from We Pound Em Fishing. Its now later in the afternoon on a perfect day, the sun starts setting and non stop action begins with screaming lines, double ups and back to back catch and release. Check out this video to see what fishing for Kings is all about. The Spring run of Steelhead trout brings out the best of our river systems. Mike Verhoef of flyfitters.ca lands a few spawned out hens in a mornings outing. Look for more Mike on the fly at CharterAndGuide.com ! Throughout the seasons, there are those blocks of time when Salmon are right where you want them to be. 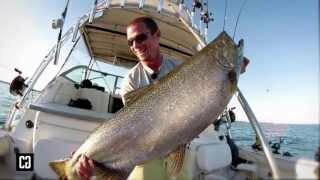 On Lake Ontario, Canada there is an abundance of Chinook Salmon ready to peel line off the deepest spools throughout the year. Here we have Charter and Guides Ryan Hare from We Pound Em' Sportfishing showing us how much fun it can be to get a good "poke" from Staging Kings, and how to handle them properly! 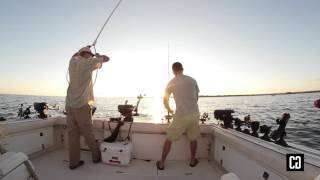 Ryan Hare from We Pound Em’ Sport Fishing joins and fellow angler and friend Paul Castellano from Cast Adventures to target suspended Brown Trout off shore using a unique technique casting Bucktail Jigs with the countdown method. 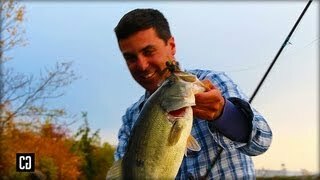 Paul Castellano from Cast Adventures shares with you the importance of staying consistent when flipping and pitching to heavy cover in search of that one big early fall Largemouth bass.